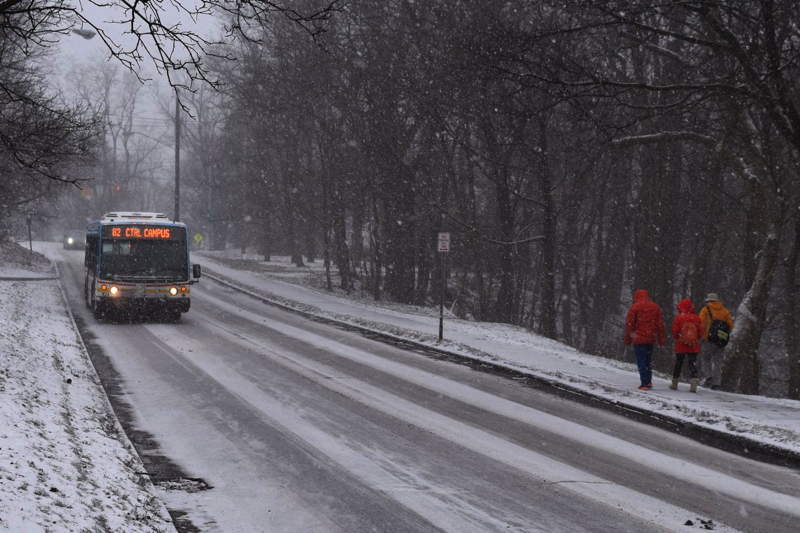 TCAT bus on a snowy Ithaca roadway. Most area school districts made the decision to close for the day on Thursday afternoon, and Cornell University took the unusual step of joining the list the night before as well. Ithaca College closed at 5:30am. TC3 is already closed for its mid-winter break. TCAT said on Thursday evening that they expect to maintain full service on Friday, but riders can expect delays or snow detours. The Tompkins County Public Library is closed. More details on today's Ithaca weather and closings at 14850.com.